This used to be one of the best Auto podcast around. Funny host with edgy, honest comments. It's now a politically laced work with the tone of PBS. Greg M is knowledgeable and has quality comments but he needs a better supporting cast. I listened to this podcast years ago, and really enjoyed the old cast. Then, quite suddenly, it changed with a full overhaul. Dan Roth was the spirit of this show. Grumpy, opinionated, and sometimes verging on inappropriate, the show was just more fun back then. Overall the podcast has recovered from some darker days. Not to be a spoiler but these are stereotypical automotive journalists and it gets kind of tired. IOW they gripe about crossovers, how EVERYONE on the road except them can’t drive, and think every automaker should build AWD manual diesel wagons that nobody would ever buy. Oh, and complain if a car has upgraded wheels or pretty much any options. “Base cars FTW!”is the motto. These guys clearly spend zero time commuting in the real world. The main host sounds like he has a perpetually stuffy nose with a Canadian accent, but at least keeps it moving. I believe the other host gets paid based on his use of the word ‘like’. “LIke, driving that car was, like, really fun. The engine, like, had a lot of, like, power and the seats were, like, really, like, comfortable”. The ‘spend my money’ segment always ends up with a recommendation for a Miata, GTI or other random overrated Mazda model and should be avoided completely. Anyone who gushes over the derivative styling of a Volvo XC90 like these guys do, should be suspended from podcasting for a listener-determined amount of time. Like, you know, it’s okay. As far as an automotive podcast, there seems to be good info. As far as a “like, you know” drinking game, if you can make it through half the show, you need to get help. Nice topics and good audio quality but not ready for prime time podcasting. Slow, with long pauses between sentences and phrases, not one of the best automotive podcasts. One of this guy’s “main concerns about the new Miata” is that it may be overpowered. Wow, that’s not the insightful commentary I was hoping to hear. Not sure why they took a break, but man I am glad they are back. My favorite automotive podcast. Like the show when it is available, but that seems like never. Show was much better when Dan hosted. Todays episode was great. Straight to the point: the cars and a few of them (not alot of random banter that makes other episodes/podcasts linger)! Hope you guys keep it going. Seems like the podcast wained out for a while...i thought it was dead. Hope to hear it on a predictable, regular basis. Before it came to this group is guys Dan and the boys had WEEKLY podcast....now we’re lucky to get one per quarter - check that nothing for 2018. Totally disappointing. Can I give this no stars?? It appears they’ve stopped making the podcast; anyone know why ? Don't waste your time. There hasn't been a new podcast released in the last 7 weeks. For the tl;dr - it used to be old U.K. Top Gear, now it's American Top Gear. You'll notice all the great reviews are from years ago... back when it was a few guys that really TALKED and conversed about cars, sometimes for almost 2 hours. Now it feels like a 30 minute new car ad. Greg's voice and delivery are a bit too "pro" and it feels like he's reading a pre-written script. And what's with including the audio from video clips in an audio-only format?!? Unsubscribed after 8 years of listening. The show as the worst at the time Dan left. The audio was horrible and it went on forever. It was best soon after he left and the other person took over. They added structure, solid audio, music transitions and it was a regular weekly release. I have now unsubscribed because it fell apart this summer. All the format is gone. It is just one long audio stream with mostly Greg talking. It has also been quite unregular with some weeks not getting releases at all. The main host sounds fine but the other guests sound much quieter. Not sure if it’s their microphone or their voices just don’t carry well. I've been listening to the podcast for about 4 years now and it use to be really great when Dan was the host. It was pretty consistent to as a weekly podcast, but things have changed. 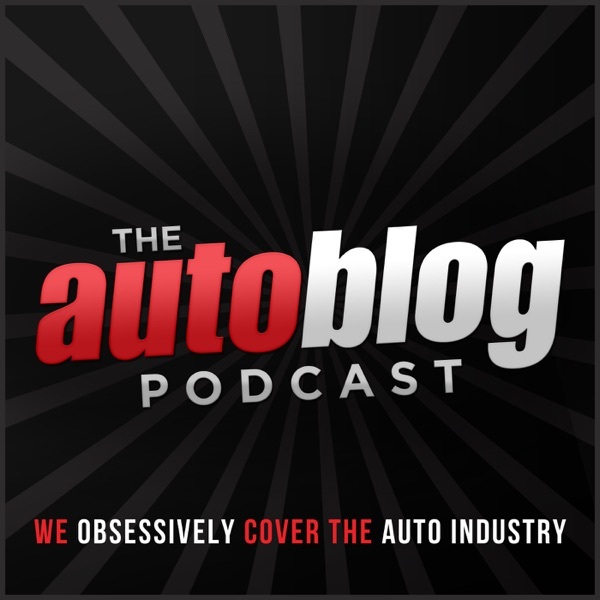 I feel the podcast has become burdensome for the autoblog crew and they either don't have the time or the staff to make this a weekly hour podcast as it was in the past. Now it's music between the segments and get it over quick. Half of the guys on the show barely show any personality when talking about their passion. Now, their latest podcast is a full 26 minutes. Good job guys...bring back Dan! I look forward to listening every (more or less) week. Lots of reviews and news packed into an appreciable-length podcast. Pretty knowledgeable about the US and overseas markets. It's a podcast, so I'm not expecting a flawless copy; that's what magazines are for. This long running show covers cars in an informal approachable way. Editors from Autoblog share their experiences with what they have been driving, what they see from industry events and help listeners with their purchasing conundrums. The cast of the podcast changes over time as people come and go but the tone and quality stay the same. I still enjoy this podcast but I've lowered my review because it's not as good as when it was hosted by Mike Austin or Dan Roth. It's seems very awkward now and could use some better conversations (stop sounding like they're reviewing a checklist of things to talk about). I'll continue to listen but with better car podcasts out there, these guys need to step up their game. I'll raise the stars in my review once their podcast is as entertaining as the Wheel Bearings, Everyday Driver or even Consumer Reports. Dan Roth was able to keep the podcast going strong through a number of changes in the composition of the team and even format changes. Once Dan left, the podcast went downhill faster than the new Dodge Demon runs the 1/4 mile. Great entertainment! So bummed when it is over! Keep up the great work guys!! Really enjoy the show and the format you guys run. Really down to earth and informative. This is by far the best podcast about cars. It's super informative and keeps me up to date on all the newest cars. There's never a bad episode and I love the spend-my-money section! Old version of this works better. Now it has clunky music and goes off topic more often. Old version was more consistent and driving focused. Still good car discussions and fun for enthusiasts. I've only been listening for a few months, but there's a good mix of new car news and practical car picks for the enthusiast with some ridiculousness thrown in. Kind of like talking to friends about cars, so a nice weekly break. You guys are getting better. After Dan Roth left the first few episodes were not good. Now they are better. Your need a third member though that has a different POV from you guys. The new format is excellent! Great coverage of news, what they're driving & listener questions. Keep up the outstanding work! Since Dan left, the podcast has gone down hill. I used to listen every week but now skip weeks to see if it might improve. It shows just how difficult it is to do a quality podcast regardless of content. You need a good host. It's not as easy as simply swapping staff. I used to enjoy this podcast but then the host left and now I can't even listen to it. David is terrible on the air. Please replace him. I've been listening for over a year and it was very informative. The new hosts and format starting in the summer of 2017 ruined it. They are like morons who like sound like they have never talked aloud. Nothing sounds professional. Their information sounds vague and a lot of 'I guess' and 'we'll see' statements. Being back the old format and people!! The team turned over a couple of weeks ago and the new crew isn't as good as the old. Instead of rotating cast of two or three obviously enthusiastic journalists who would call out the good and (crucially) the bad in new cars, it has become sterile, detached and sadly corporate. It's more polished, but conveys less information. NOT AS GOOD ANY MORE. THIS PODCAST WAS VERY GOOD BUT THE NEW CAST AND THE MUSIC (LOSE THE MUSIC) LOST ME AS A LISTENER. UNSUBCRIBED. Wow, new format, new hosts, new fast food reviews and overall it is a giant MEH. As other reviewers have said, bring back the garage, stick with spend my money and just stick with talking about cars. Also, Dan was the glue of the podcasts for years and to just give a very brief mention that you're moving on was not a service to the amount of work he put in. I'll try it again but I have other podcasts that I need to get through that are better. what has happened to this ? Whopperitos , nope cant listen to another one like this . Sorry. I have listened to the podcast for years and was a huge fan. In the past year the enthusiasm seemed to have waned, so I knew a change was probably coming. But the new format has left me completely baffled. I have always liked Gluckman and Austin on previous podcasts. But how does reviewing the Olympics and crappy fast food find it's way into a car podcast? I'm still trying to figure out who thought talking about eating a Burger King burritto would be thrilling radio. I also echo other's request to bring back the garage. I'll give it a couple of more episodes. But if the content doesn't improve substantially soon, I'll have to unsubscribe. And I don't want to unsubscribe. Just sad and confused about what has become of this once great car podcast. Hi guys. Just listened to the first episode of the new podcast format. I have been a subscriber almost since the first Autblog podcast and I have seen very few changes in the overall format along the way. This was a good thing. My impression of the new format: (-) No Autoblog Garage? This was the best part of the previous podcast format because it reminded me of and more informed version of me and my buddies sitting around the room talking about cars we've driven. I'm guessing you removed it because you'd rather we read/view the more formal reviews of vehicles, but there is no substitute for the entertaining off-the-cuff spirited discussion that's now missing. (-) Almost 1/4 of the podcast spent talking about fast food? (-) 34 minute runtime (One of the things that I used to love was that the podcast could run for over an hour of guys just talking about cars, which was one of the main reasons I loved it) (-) Cheesy new theme song and bumper music (+) More organized News segment which had more content than previous podcasts. Good stuff, there. Going to give you one more chance, but if next week's podcast is similar to this week's, you've lost yourself a long time subscriber. I enjoy the podcast but more and more the car reviews are focused on the dash board. Some of the reviewers seem to care less about how the car drives than if it has the latest tech gadgets in the dash. I hope the pendulum swings back soon. Really, this show might be 15 minutes long if they cut out the verbal fluff and just got to the point. I'm a lifelong car aficionado, and this show doesn't cut it. Let me start by saying that I already love autoblog to begin with. Check the site/mobile app daily to stay informed. The podcast helps bring all that news together with opinions and humor. I drive a lot for work and every week the podcast makes the drive so much more enjoyable. Thanks guys for continuing to do this!